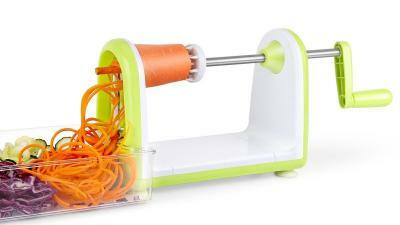 Enhance Your Kitchen Chopping Experience with 1byone’s SimpleTaste Spiral Slicer @$14.99 Only! If you are looking to buy a multifunctional cutter, 1byone’s Spiral Slicer 5 Blades Spiralizer, Vegetable Cutter and Shredder is the best choice for you. It is the perfect gift for your family and friends, from mother to college students, professional chefs, travelers, healthy food enthusiasts, and food bloggers.